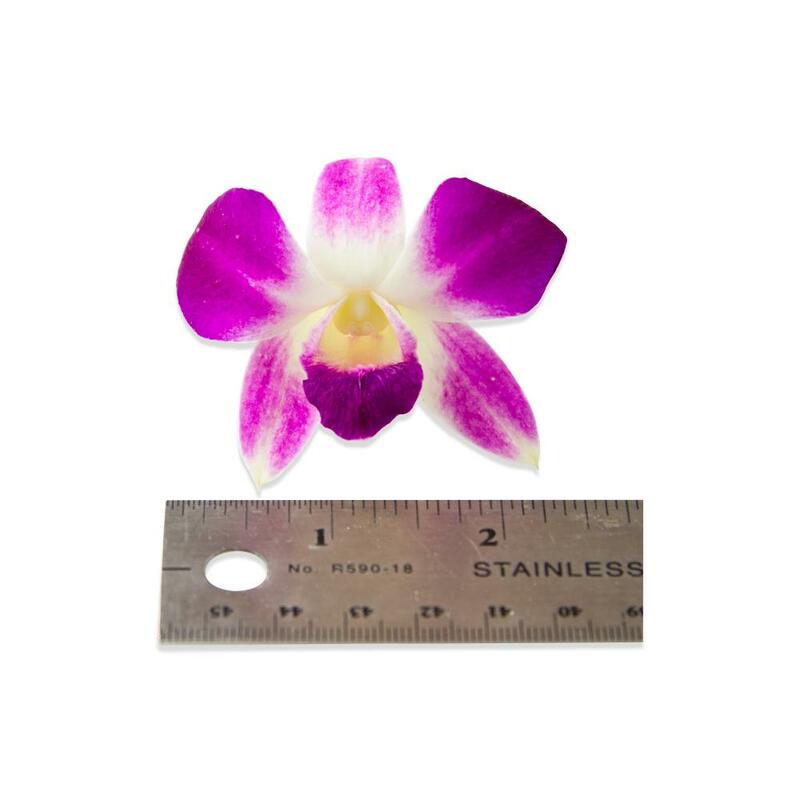 Choose 50, 100, or 150 orchids. Each flower is approx. 3.5" to 3.75" in diameter. 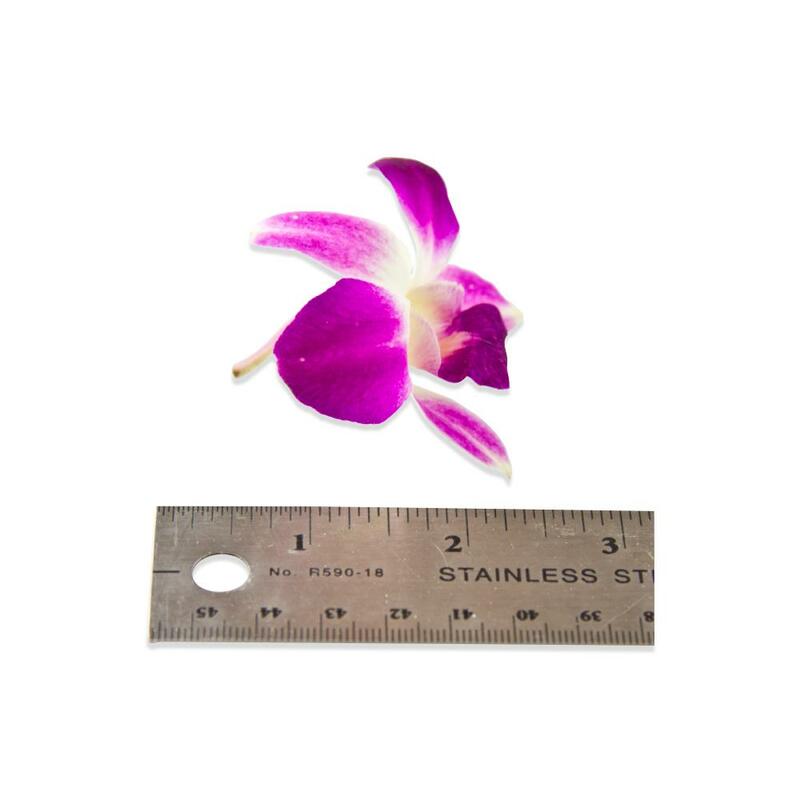 Karma orchids are gorgeous purple & white edible flowers that are a great choice for cake decorating and garnishes. Though their primary appeal is their beauty, they do impart a fresh, crispy, almost endive-like flavor. 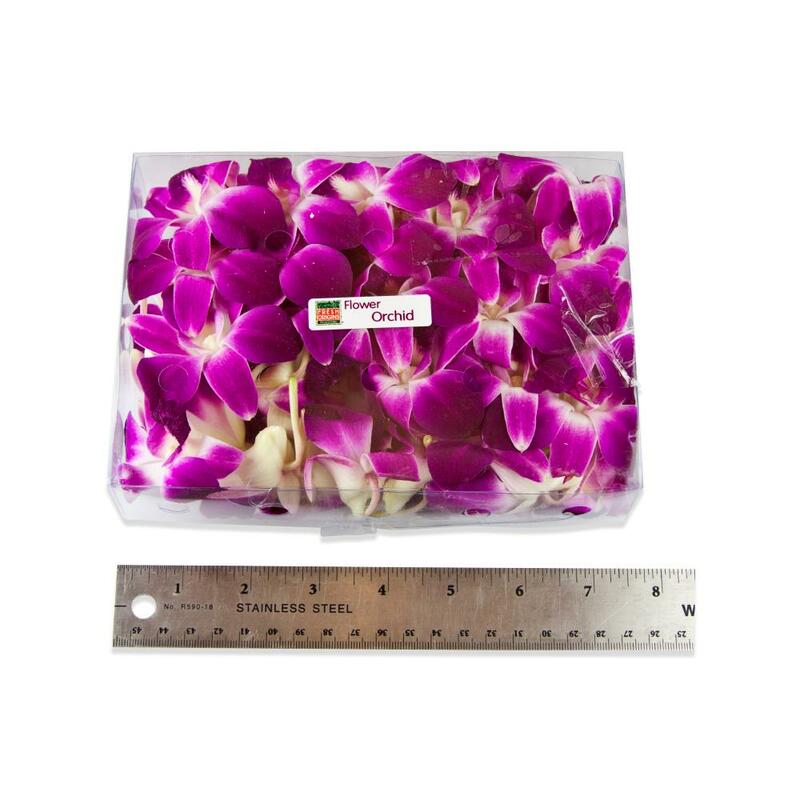 Store karma orchids in their plastic clamshells in your refrigerator. 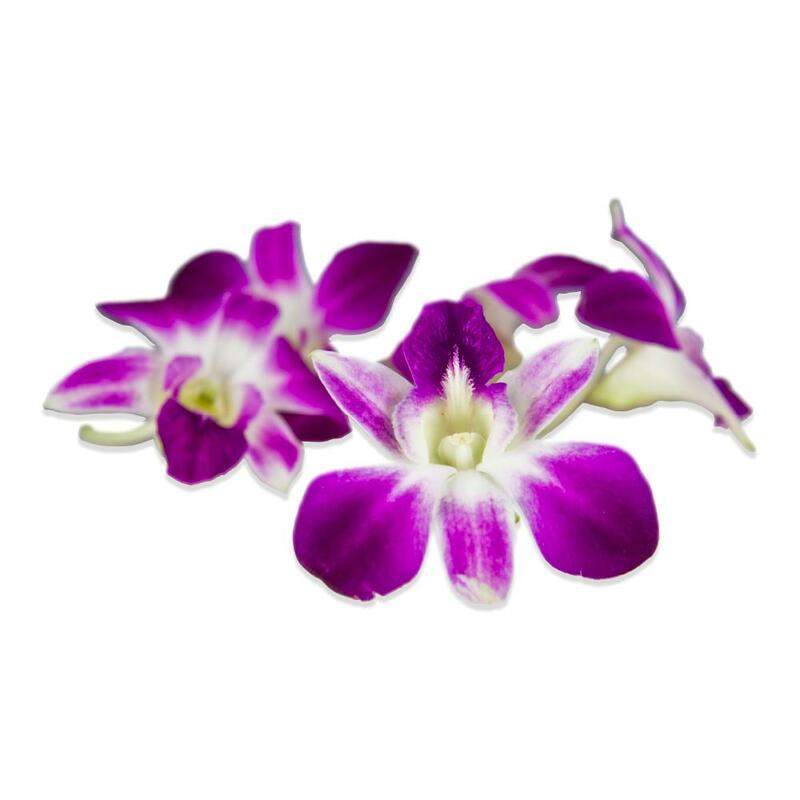 Edible orchids make a stunning garnish for desserts, entrees, appetizers, salads, platters or beverages. To add sweetness and shine, candy them. For crunch and a different look, try dipping them in tempura batter and briefly frying them.